Toshio Nishimoto (kendo 4 dan), originally from Fukuoka, started kendo in 1983 before moving to New South Wales in 1992, where he joined Sydney Kendo Club, and later Reishinkan Kendo Sydney Dojo. 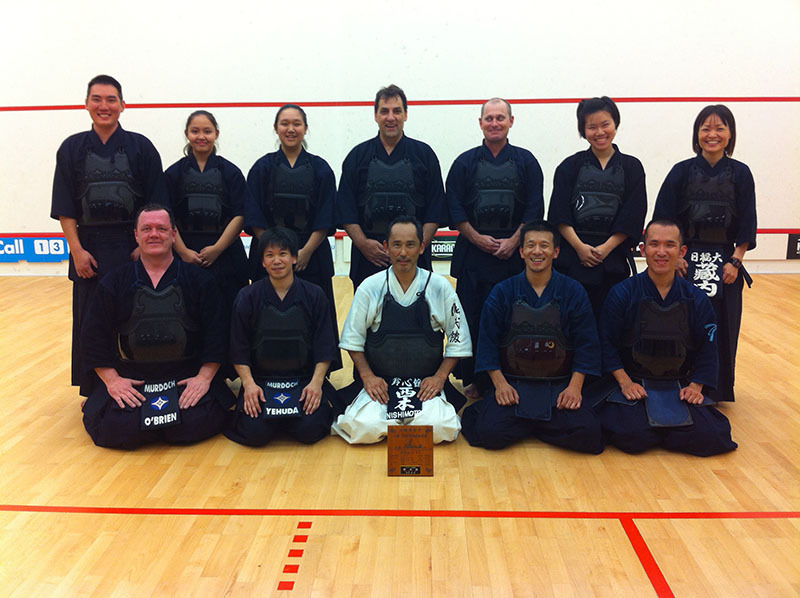 Since then Nishimoto has been active in the Australian Kendo community, regularly participating in the annual Australian Kendo Championships and even winning the Veterans’ Individuals division twice consecutively (2009 and 2010). 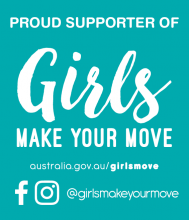 Nishimoto’s other achievements include being a finalist at the NSW State Championships 2013 Open Individuals division, and a Kata Champion at the Australian Kendo Championships in 2011. 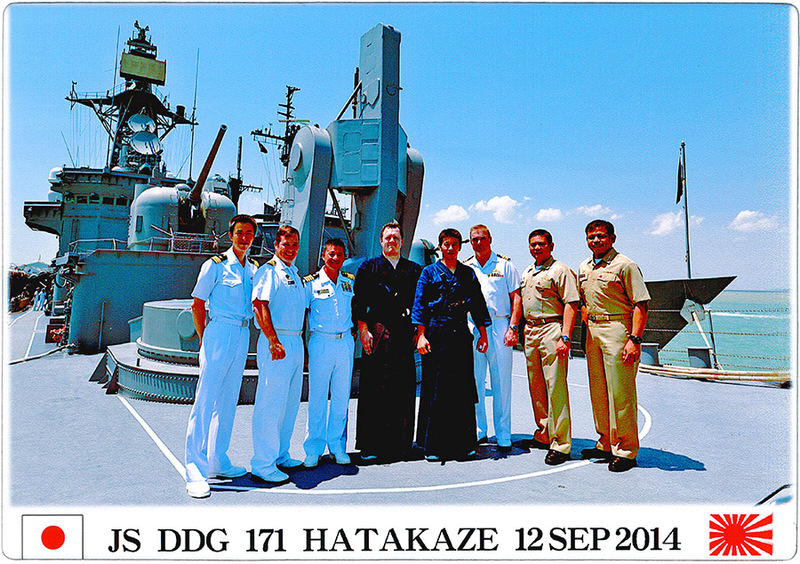 In January 2014 work commitment took Nishimoto and his family to Darwin, Northern Territory. There he met and joined Bernard Yehuda and Nigel O’Brien, both from WA, who had also been working in Darwin and training in Kendo privately at a local squash centre. Bernard (3dan) and Nigel (2dan), originally from Murdoch University Kendo Club in Western Australia, have been working in Darwin since May 2013. Due to the nature of their work, they were not able to commit to forming an official Kendo club. 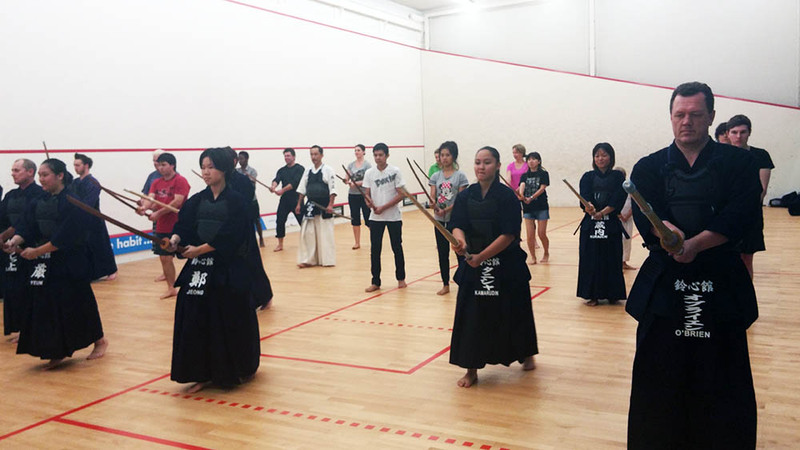 Fortunately with the help of the more permanently-settled Nishimoto, Reishinkan Kendo Darwin Dojo was established on 11 August 2014, directly after a successful beginners’ course. 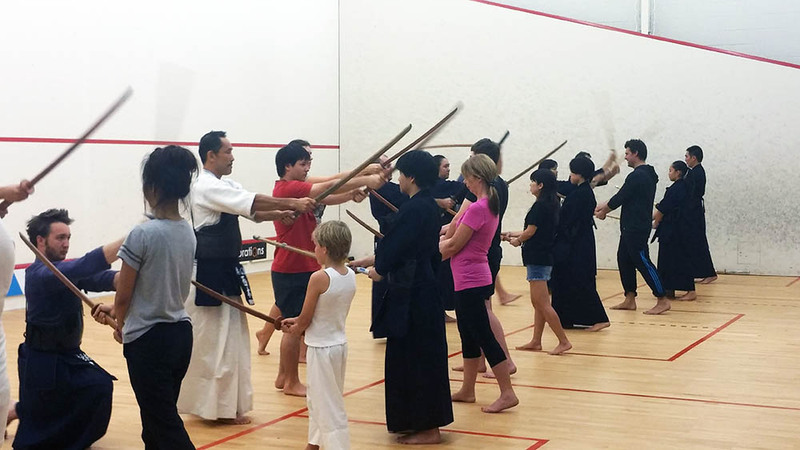 The club is also joined by Shinji Nagatsu (2dan) from Shizuoka and Yukiko Kurauchi (2dan) from Osaka, Japanese migrants who used to practise Kendo in their high school years. Both were very eager to start again. 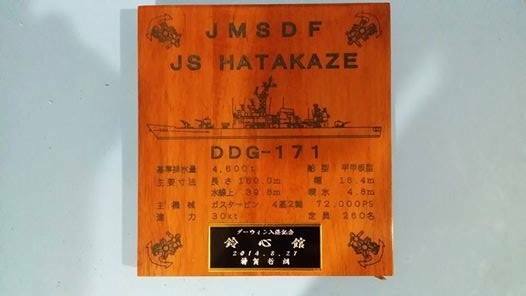 On 27 August, Reishinkan was visited by two Japanese sailors, who are part of the Japanese Maritime Self Defense Force (JMSDF) crew on board of their ship JS Hatakaze, which at the time was stationed at the port. The two sailors trained Kendo together with Reishinkan members, and the day was immortalised by a special plaque gifted to the club. Later that week, the captain of the ship personally requested Nigel to partake in a formal kata demonstration (as uchidachi) on board of their ship as part of the September 11th commemoration. The captain commented that he was looking forward to seeing “the Australian samurai”. Working with Richard Ward, President of the Australian Kendo Renmei, Reishinkan has been accepted as an affiliated club, a member of the Northern Territory Kendo Association. 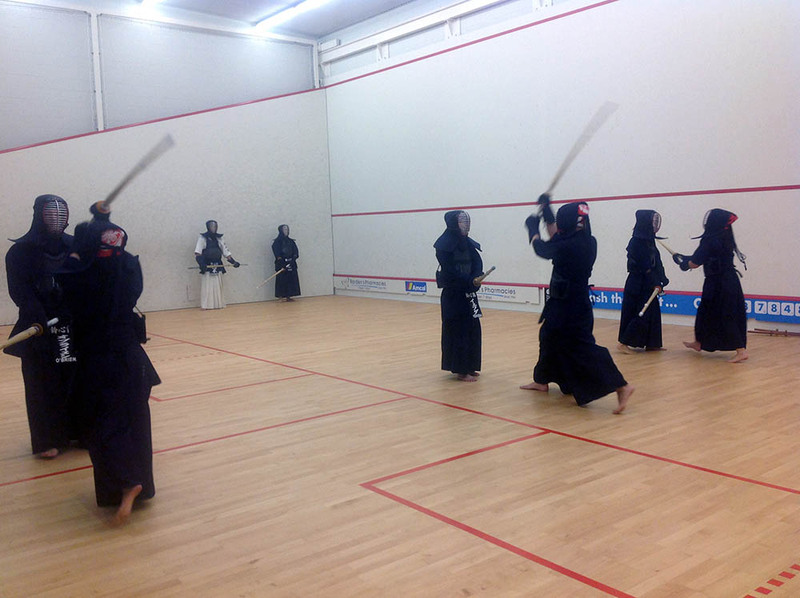 Today, Reishinkan Kendo Darwin Dojo is growing strong, having started its second beginner’s course. 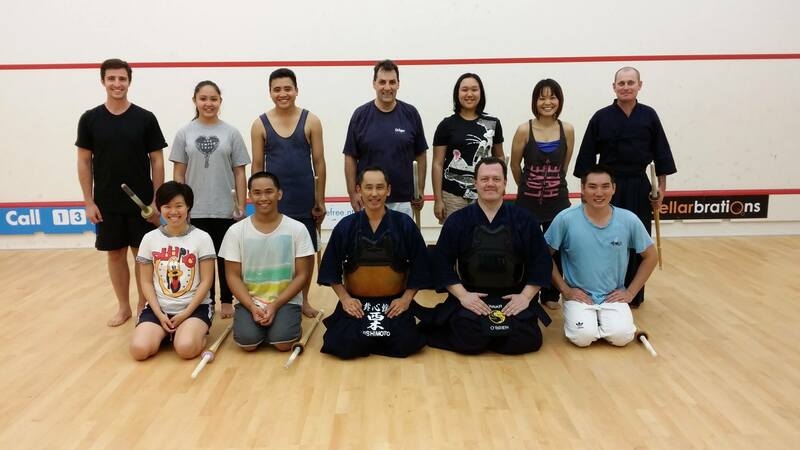 The club is now comprised of 12 AKR members (5 yuudansha and 7 juniors, all in bogu), as well as 15 new beginners. Future plans, with extensive support from the Australian Kendo Renmei, include hosting a formal grading and preparing a team to participate in the 2015 Australian Kendo Championships in Melbourne, Victoria. For more information please contact Nishimoto (musashi634.nt AT gmail DOT com) or visit their website.